Photoshop has a reputation for being an incredibly complicated piece of software that’s difficult to learn how to use properly. While it’s true that if you try to dive into Photoshop with no guidance it can be impossible to get the hang of things, it’s not so much complicated as incredibly powerful. You can use it to do anything from crop a photo to create an image of you getting attacked by a crazy killer doll Create a Crazy Killer Doll Image with This Photoshop Tutorial Create a Crazy Killer Doll Image with This Photoshop Tutorial Want to create awesome composite images? We should you how with this easy-to-follow free Photoshop tutorial. Read More . If you want to get to the point where you really understand how to leverage the power of Photoshop, you have to learn from the best. Here’s seven awesome sites that will get you there. Lynda.com is an awesome resource whether you want to improve your photography overnight How to Improve Your Photography Overnight with Lynda.com How to Improve Your Photography Overnight with Lynda.com Lynda.com is great for online learning. Of the 546 photography courses available, here are some of the best ones for sharpening your skills in just a few hours. 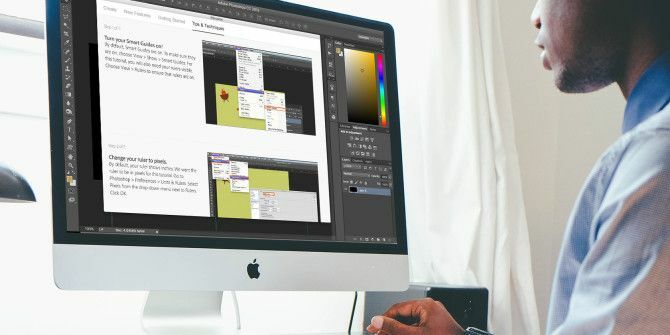 Read More or learn how to become a digital artist Learn Digital Art from Scratch With These 22 Lynda Courses Learn Digital Art from Scratch With These 22 Lynda Courses With hundreds of online courses to choose from, Lynda.com is the fastest way to mastery of digital art. Here are a few courses to get you started. Read More . It’s just as good for learning how to use Photoshop — Lynda.com courses are where I started out. 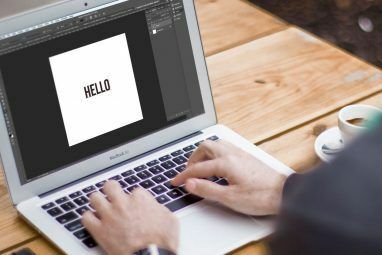 Lynda.com isn’t free — plans start from $20 per month — but there are countless Photoshop courses to choose from whatever your level. I recommend picking one based on what you want to learn. If you’re interested in design, choose something like Introducing Photoshop: Design by one of my favorite instructors, Deke McLelland. If you want to use Photoshop to improve your photos, Photoshop CC 2015 for Photographers: Fundamentals by Chris Orwig is great. Scott Kelby is one of the most respected photography instructors around. He built KelbyOne up from a one man shop into a full-fledged educational resource. Kelby, along with heaps of other great instructors teach in-depth courses suitable for all levels. Like Lynda.com, KelbyOne operates on a subscription model. For $20 a month, you get access to everything — although you can also buy individual courses. If you’re looking for one, Photoshop-centric subscription, KelbyOne should be it. CreativeLive takes a really interesting approach to education. All their courses are filmed live and broadcast for free online. While the course is live, you can watch it for nothing from anywhere in the world. When the course is over, however, they release it as a product on their site for you to buy (although there are occasional free re-broadcasts). CreativeLive gets the best educators (some of whom are on this list) to teach multi-day, intensive courses. Their Photoshop courses are top notch; they normally include a segment where they shoot all the images they use in the post-processing section so you can really see everything that goes into a work of Photoshop art. If you’ve the free time and a CreativeLive course you want to watch is broadcasting, you’d be a fool to miss it. Even if you’re paying, their courses are well worth the money. Phlearn is one of the best sites for learning how to really get the most from Photoshop. They release a mixture of free and paid tutorials. The free tutorials focus on a single technique, while the much longer professional tutorials take you through everything you need to do to recreate a specific project. For example, the Beginners Guide to Levitation walks you through three levitation projects step by step. All the photography and Photoshop know-how you need is right there. Phlearn is definitely targeted at people with a little Photoshop knowledge. The pace of lessons can be quite fast so it should be used more to go from intermediate to expert than beginner to intermediate. Envato Tuts+ is another site that mixes free tutorials with paid, more in-depth courses. I write for the Photography section but the Design and Illustration section is where most of the heavy Photoshop content is. Split fairly evenly between Illustrator and Photoshop material, the Design and Illustration section of Tuts+ is all about recreating specific projects. Various instructors walk you through all the necessary steps to copy their work and provide you with the tools you’ll need to develop your own ideas too. The courses are more focussed on beginners while the free tutorials, for the most part, require a bit of knowledge of the apps to get the most out of them. Adobe TV is Adobe’s official learning platform. The people teaching are some of the best in the business. 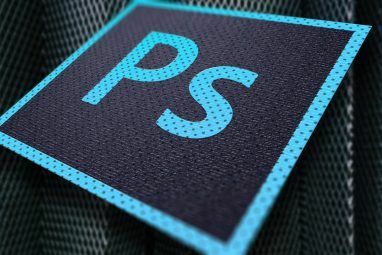 If you want to learn everything there is about a specific Photoshop tool, Adobe’s official resources are the place to go. Adobe TV might not have the character of some of the other instructors on this list, but it is one of the most authoritative sites. Even better, all of the content is available for free. YouTube is a really solid educational resource if you set it up correctly How To Set Up YouTube For Better Learning How To Set Up YouTube For Better Learning If you are not using YouTube to expand your mind and learn new skills, it's time to catch up. There's so much free knowledge available out there. Why not take advantage of it? Read More . You can learn pretty much anything there 10 Interesting Things You Can Learn on YouTube 10 Interesting Things You Can Learn on YouTube We are on a quest to learn something new every day. So ask yourself -- have you learned anything interesting today? If not, turn to YouTube. Read More and Photoshop is no exception. Many of the resources I’ve featured use YouTube to host their video content. As well as these professional educators, many talented Photoshop artists share how they created their works on YouTube. The problem is that many of them aren’t particularly good instructors. What I like to do with YouTube is, once I’ve learnt a new tool or technique, search and find videos of other people using it. That way, I can see how they implement things without relying on them for the initial instruction. There’s nothing like watching a Photoshop technique used on several different images to really make you understand it. Any of the sites I’ve mentioned are great places to learn how to use Photoshop properly. I’ve used all of them, and they all have things they do better than the others. If you’re just starting out, Lynda.com is hard to beat. KelbyOne is super specific to photography. CreativeLive is awesome, but watching the courses takes a lot of time. Phlearn has the best pure Photoshop content but beginners might struggle. Envato Tuts+ has lots of amazing design content. Adobe TV is the official learning channel even if it is a bit dry. And if you can’t find anything on any of these, it’s definitely on YouTube. 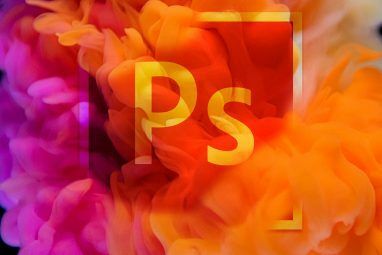 What’s your favorite resource for learning Photoshop? If I didn’t include it, let me know in the comments.